Matt Welch is passionate about real estate. As a member of The Bagogloo Team, that means making sure his clients have the best possible experience during the buying or selling process, and long after the deals have closed. Matt strongly believes in building long-term relationships; they’re an important aspect to the real estate process. Getting to know a family, their likes and dislikes, their needs and requirements – it all helps Matt to provide better service to his clientele now, and in the future. 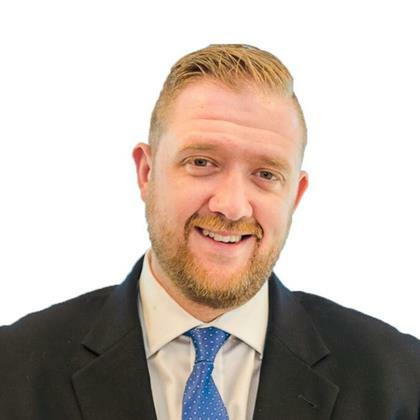 Matt brings an extensive background in sales and client service to The Bagogloo Team, and an education that includes marketing, advertising and business. During his time at the University of King’s College and Dalhousie University, Matt completed a Major in Marketing Management and also studied Journalism, helping him gain a unique insight into marketing and advertising for the real estate industry. Perhaps you’re looking for a vacation home, relocating to- or from- another province, or need advice on adding an investment property to your portfolio; The Bagogloo Team can help. "Matt was very knowledgeable about the local market, he was well connected, and he inspired confidence that he knew what he needed to do to get the deal done to my satisfaction within the time frame that we had set out to him." Matt, I wanted to write you to thank you so much for all you have done for us during this first time home owner experience! You have been there to help me navigate all the issues including getting the house ready and ensuring we have a positive result. It is because of your efforts that this is no longer about buying a house, this is really about building a home. You have never failed to impress me! Thank you so much for everything you have done, and continue to do. Your thoughtfulness has made this process a delight. "Outstanding beyond my expectations. Professional and knowledgeable agent"
"Matt, Please know how much I appreciate and recognize your perfect service. You are the best agent!" "Matt was 100%, deal would not have gone through without his attention to detail and stellar customer service. He already has my repeat business in the coming months. I do not have to think twice about referring my contacts who are in need of a Realtor. Look forward to the next deal"
"Matt Welch was extremely knowledgeable and helpful in hleping us purchase our first home! He really listened to our needs and desires and helped us find a house that not only is everything we want, but is also well below our maximum budget. Matt is always very quick to respond to questions, even late at night. He really walked us through the whole process."